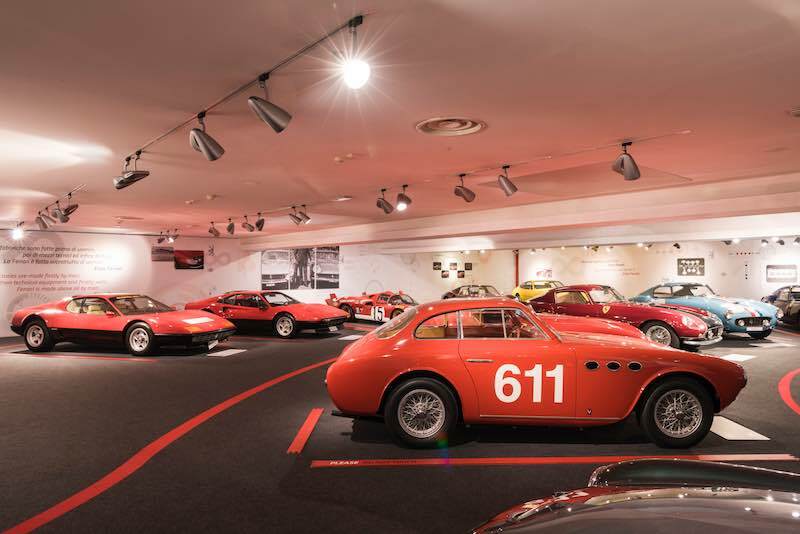 The Ferrari Museum opened its new exhibition spaces and two exhibitions — “Under the Skin” and “Infinite Red” — to celebrate Ferrari on its 70th anniversary. The former recalls the founder and the evolution of the company’s innovation and style, while the latter covers the company’s history through its models. 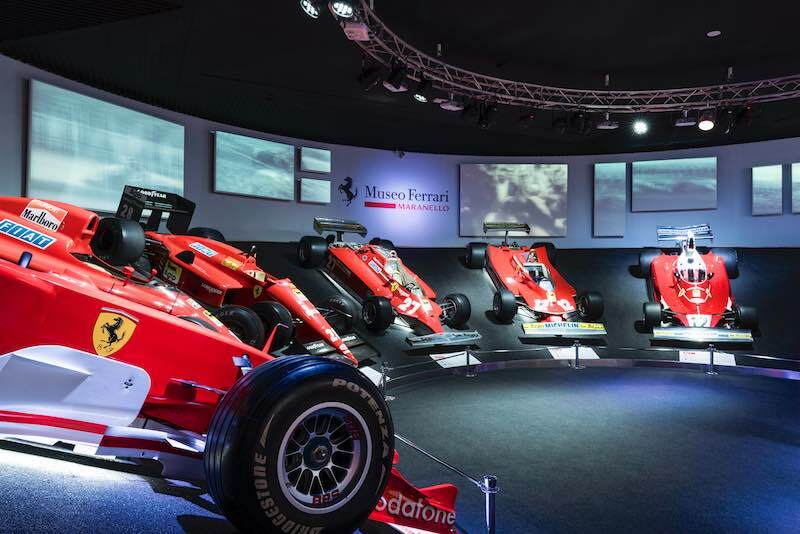 The Ferrari Museums enjoyed a record year in 2016 with more than 478,000 visitors, of whom 344,000 came to Maranello. To cope with a growing public, the Museum’s spaces have been extended by more than 600 square metres to a total of 4,100 square metres, creating a new wing that connects to the existing structure by means of a continuous glass facade, and a new museum itinerary. In addition, a multi-functional space of about 300 square metres has been built, which can host up to 250 people for events, conventions and educational activities. The refreshments area and the Ferrari Store are also new. 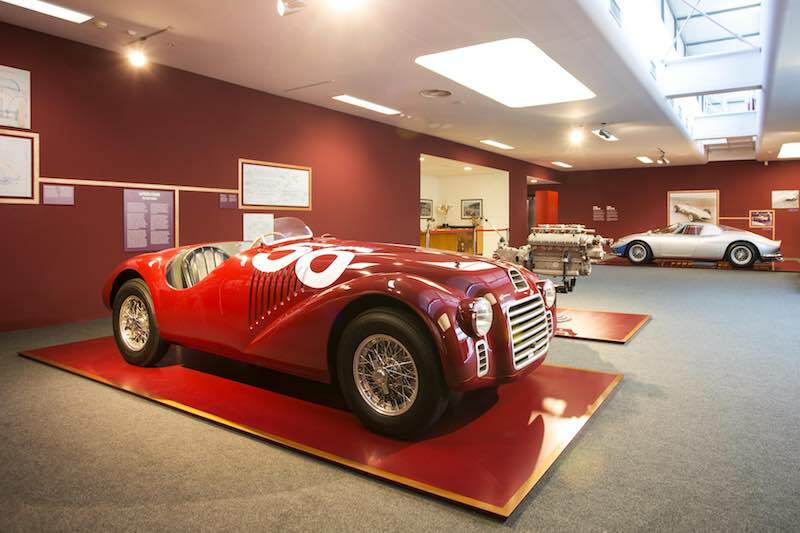 The “Under the Skin” exhibition, created in partnership with the London Design Museum, recounts the creative and engineering development of Ferrari down the years through a series of cars beginning with the 125 S, the marque’s first car. Some technical drawings from the historical archive of the Prancing Horse and the engines on display reveal the design process of cars of all eras, casting an unprecedented eye over the engineering work hidden behind their exterior beauty. 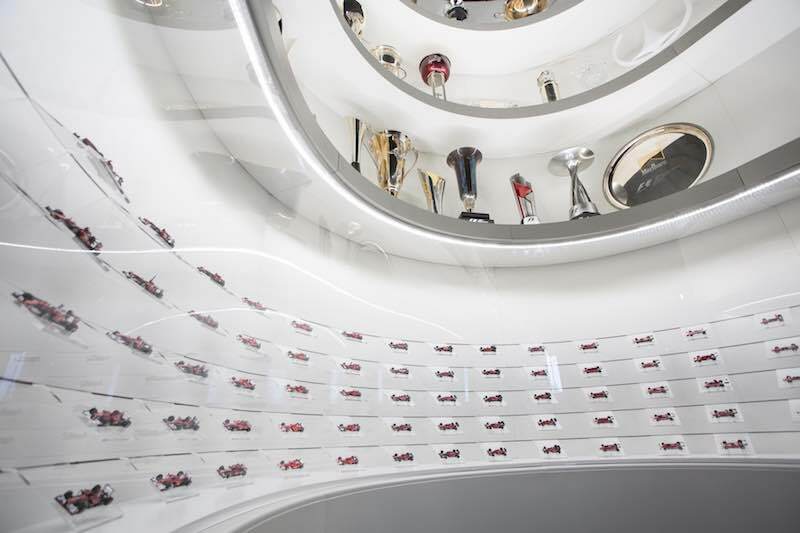 Design models and the Wind Gallery also show the evolution of styles and technologies down the years, recalling how Enzo Ferrari was at the forefront of experimenting with new scientific techniques. 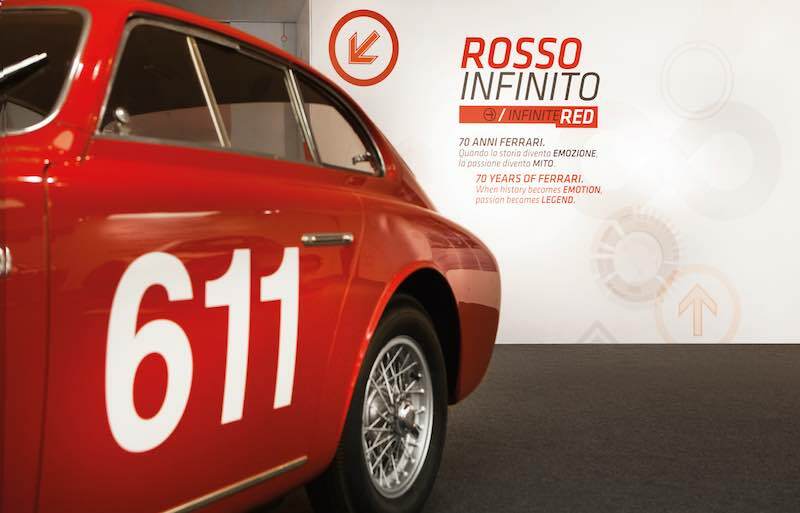 A parallel exhibition itinerary linked to the first one reminds visitors of the main biographical stages, the work and the competitive spirit that has made Ferrari famous worldwide. The exhibition will move to the London Design Museum from November. The “Infinite Red” exhibition celebrates the 70-year history of the Prancing Horse with some of Maranello’s most exclusive creations for track and road. The Formula One cars on display have a long series of victories to their name: from the 500 F2, with which Alberto Ascari won for Ferrari the first world drivers’ title in 1952, to the F2004, the Ferrari that won the most GPs in history (15, like the F2002) and concluded Michael Schumacher’s epic run of world titles, and finally the F2008, which won the World Constructors’ Championship. 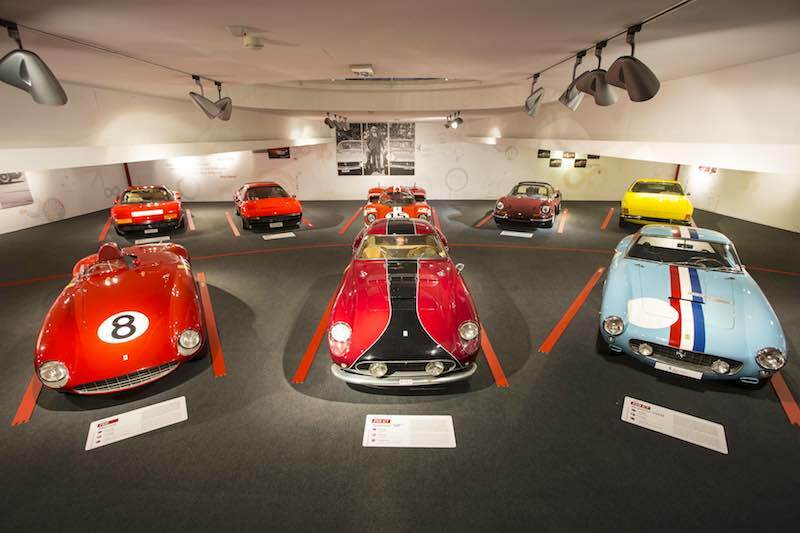 Among the GT cars, visitors can admire various models from the 250 family, such as the 250 GT Berlinetta Tour de France, which dominated races in the second half of the 1950s, its evolution the 250 GT Berlinetta SWB and the 250 GTO. Then down to the present, the exhibition features a number of limited special series such as the F50, the Enzo and the latest, the LaFerrari, also present in the non-homologated FXX K version for exclusive use on track. The exhibition “Under the Skin” will remain at Maranello until November 2017, while “Infinite Red” will be open until the end of the year. 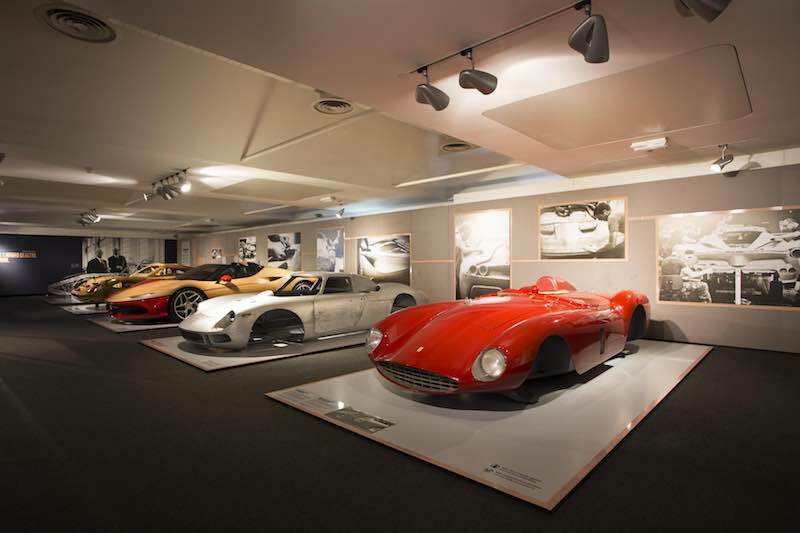 The Ferrari Museum is open every day from 9:30 am to 7 pm (from November to March it closes at 6 pm). For further information, visit Ferrari.com.